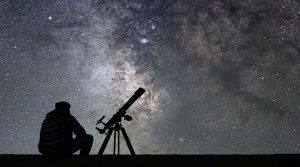 Telescopes are one of the oldest fun and educational products out there and over the years we have seen huge advancements in how, what and just how far one can see. Despite the advancements, the premise has remained unchanged as they offer the perfect escape into the sky bringing the impossible to see right in front of you. Whether you’re an aspiring astronomer or a professional looking for a serious upgrade, taking the time to understand what’s right for you will help you make the most of your next astrological experience. There’s something about seeing stars, planets, nebulas, and even the moon up close and personal that’s next to impossible to describe. As seeing is believing, the spectacle is much more then seeing it in science book as there is no better visual than seeing something so unique with your own two eyes. This is where telescopes come in, but making the most of any experience starts with understanding how they operate, function, differ, and meet your own unique needs. The following telescope buying guide breaks down all there is to know including the different types, specs, features, and what to look for before making your purchase. There are three distinct types of telescopes including catadioptric, reflector and refractor, each with their own best uses, features, and a whole more which is disclosed below. A catadioptric telescope is a specialized form of refractor that uses a correcting lens that reflects the light at the top which forms an image. As light enters the tube, it passes through to the corrector before reflecting of the primary and secondary mirrors, passes through the hole in the primary mirror before it reaches the eyepiece. A reflecting telescope differs from a refractor telescope as it uses a reflecting mirror versus an objective lens. The “primary” mirror receives the light after it enters the telescope through an open end and reflects the light to a flat “secondary” mirror which then sends the light into the eyepiece. Reflecting telescopes are some of the most common, and because their cheaper to produce they tend to be the most affordable. A refractor telescope is best described as a long cylindrical tube and uses an objective lens at the top end followed by the tube ending at the eyepiece (s). When most people think of telescopes, refractors are what comes to mind as they’ve been around the longest and have the most to do with historical achievements in astronomy. The image quality and contrast with this type is usually better, but they cost more due to the price of the concave objective lens. A catadioptric telescope are typically higher end models and are best suited for intermediates and professionals due to the large mirrors, but newbies have been known to tout a catadioptric in the 10 – 18-inch range. Reflectors and refractors are smaller and lighter making them much more portable then their bigger brother. The telescope mount is almost as important as the scope itself as each go hand in hand. The quality of one directly effects the performance of the other which is why it’s so important to consider both before you buy. Viewing objects in the sky occurs along the same principles of science with objects moving across your field of view as the Earth continuously moves on its own axis. This causes the user to move the telescope on its mount accordingly while viewing all sky objects except for Polaris which always sits directly above the North Star. The mount is what allows you to track objects in the sky freely and there are two types to consider. The Azimuth mount which is often referred as an Alt Azimuth mount is the most common type and referrers to how it moves on its axis. This mount is named according to how it’s moved; Alt or Altitude moves up and down while Az or Azimuth moves left and right. While tracking objects in the sky the user must simultaneously move the Alt and AZ at the same time which takes practice before perfecting it. The Equatorial mount is often referred to as a German Equatorial mount which features two axes for incline and angle. Out of the box, the mount will have to be aligned with Polaris which makes it easy to track celestial objects from there if you know the coordinates. These types of mounts are a bit more sophisticated and come with a steep learning curve which makes them best suited for experienced astronomers. Before buying a telescope, it’s a must to understand what the numbers before and after really mean. Below are some of the most common telescope specs worth considering before you pick one up. The aperture depicts the size diameter of the primary lens if referring to a refractor and or the mirror of a reflector. Apertures are measured in inches or mm and the larger the aperture one will see improved brightness and improved clarity the deeper in space one looks. The focal length measures the distance between the primary lens or mirror and the eyepiece. The length itself effects the potential for magnification while telescopes with larger focal points will have larger max magnification then smaller. The focal ratio of a telescope has performance properties and gives you a pretty good idea of the tube length. For performance, the ratio defines the ration between the aperture in mm and focal length of the scope. A telescope with an aperture of 150mm and focal length of 1500 mm will have a focal ration of f/10. For size, the number after the f/ gives you a good idea how long the tube of the telescope is in feet. For a scope with a focal ratio of f/10, the tube length is roughly 10-feet. This is important to know when shopping for a new scope and if you’re looking for a model that’ll become more of a permanent fixture in your living room or one you’ll be touting from location to location. Magnification is the number of times larger an object appears through the eyepiece compared to viewing by the naked eye. To get the magnification, simply divide the telescope focal length by the eyepiece focal length. For this, using a telescope with a focal length of 2000mm and eyepiece at 25mm yields a magnification of 80x. Telescopes come in a wide array of prices which can range from under $100 and upwards of $2500. As with most things in life, what you pay for is what you get, but you can find a pretty good model in the $200 - $500 range. Reflectors tend to be at the lower end of the price range, while refractors and Catadioptrics tend to be more expensive because of the cost of the refracting lens. Aside from the scope itself, there are other things to consider including a carrying case, accessories, software, batteries, tripod and eyepieces. Some scopes come in a kit which includes everything you need, but in all cases, due your due diligence. The skill level of telescope users is broken down into beginner, intermediate and professional. Depending on your experience level, you’ll want to choose a scope that’s best suited for you today and the next few years. Beginners typically have less than 1-year experience, intermediates 1-5 and professionals more than 5. Of course, pro level users who are regulars may have less time in which is more suggestive of the amount since beginning. It’s so easy to get caught up in the specs and thinking that bigger is always better, because it’s not. When looking to buy a new telescope, quality is better than quantity and it’s easy to get caught up in numbers such as the magnification. Simply stated, magnification suggest how many times the telescope magnifies the light before it produces an image, but what good is magnification if the picture quality is blurry and in some instances distorted? Stick to your budget – telescopes can become quite expensive and it’s easy to get caught up in some amazing sales pitch. Create a budget and stick to it, odds are, you’ll find a high-quality scope within your budget. Choose a telescope based on your skill level – telescopes are best suited for different skill levels, and buying one that does too much or too little will be enough to turn you away. For beginners, you won’t need a scope with all the bells and whistles, but considering one that will grow with you will help you from outgrowing it anytime soon. Understand how they work first – too many people think that buying a telescope will instantly make them novice astronomers; well, this couldn’t be further from the truth. Understanding how they work and what type of viewing their best suited for will help you get the most from your experience. Know what type of telescope is best for you - different scopes are for different folks and of the three types of telescopes above, they all have best uses. Just starting out – beginners should start out with a reflector in the 4 – 6-inch range or a refractor 2 – 3-inches. Be careful when looking directly into the sun – even when looking directly at the sun through a telescope you can suffer irreparable damage to your eyes. If you plan on sungazing anytime soon, consider picking up a solar filter which are specifically designed for doing just that. Buying a telescope takes a great deal of work, if you want to get the most for your money. Only here, we’ve constructed the best telescope reviews which are 100% unbiased for all manufacturers out there including Orion, Meade, Barska, Celestron, iOptron, and many more. Below, we’ve broken down our reviews which takes the guesswork out of buying and makes your decision that much easier. Feel free to browse our best of the best below or search our wide array of categories in the sidebar to the right. After you’ve made your purchase, be sure to come back and tell us all about it as experiences like yours is what will keep this community going for the rest of us.